Both the TeeMatic® and Tee N Turf are perfect for indoor practice during the off-season. Paired with a net, golfers can stay in the game. Click the link below one of the images for more information on each product. 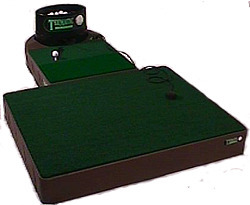 Click here to learn more about the TeeMatic Automatic Golf Practice Unit. 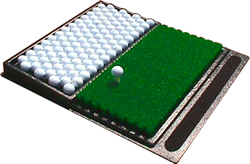 Click here to learn more about the TeeMatic Tee N Turf. This site and its contents are © Harmsway, LLC., 2001.